Is this the end of Wu Jing?! 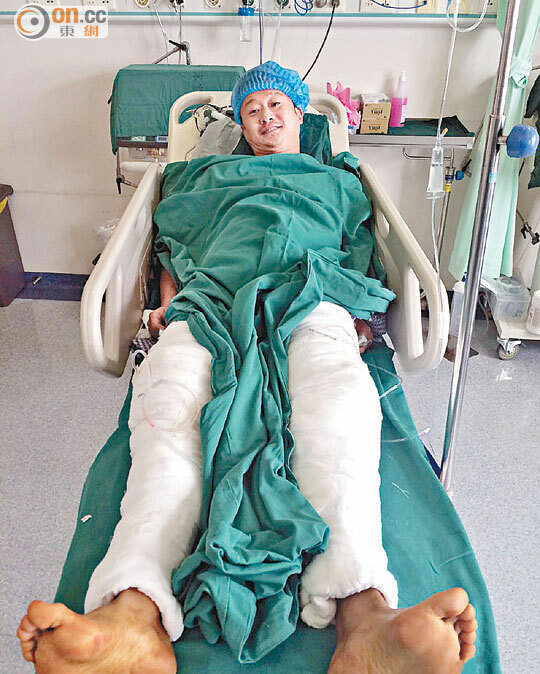 That is a vision we’ve seen from Jackie Chan more than once, but here we have Wu Jing, who suffered great injuries during the filming of SPL 2, with 2 broken legs and more. There is now speculation that this will end the 41-year-old’s career. With SPL 2 and Wolf Warrior coming up, there is a chance of that. Wolf War is his directorial debut, and hinted than his destiny may well be behind the camera. I’d hate to see Wu Jing hang it up, and that would leave Donnie Yen and (Now) Xing Yu as the only real martial arts stars in China. I had always thought that Wu Jing would become a superstar once he found his Wong Fei Hung or Ip Man. He has the talent, but nowadays guys who would do things that garner injuries like Wu Jing above are a dying breed. Most Chinese action films now have stuntmen performing for the stars just like in Hollywood films. The days of Jackie Chan, Sammo Hung and their crews are, sadly, over. I hope Wu Jing will make more films, but wouldn’t blame him if he didn’t. How well Wolf Warrior does may go a long way toward his decision either way. Thanks to Lee Golden with Film Combat Syndicate for the original story. Previous Iron Monk on Indiegogo needs our support! Next Next Week is Gary Daniels Week On Kiai-Kick! Ouch! But if he can direct then he should. No reason to keep enduring all those injuries that leave you bedridden. I agree. I’d rather him be in front of the camera a little longer, but at age 41 he’s got nothing more to prove. His knowledge working with guys like Sammo Hung could really help him behind the camera.